Get it, my pun there? 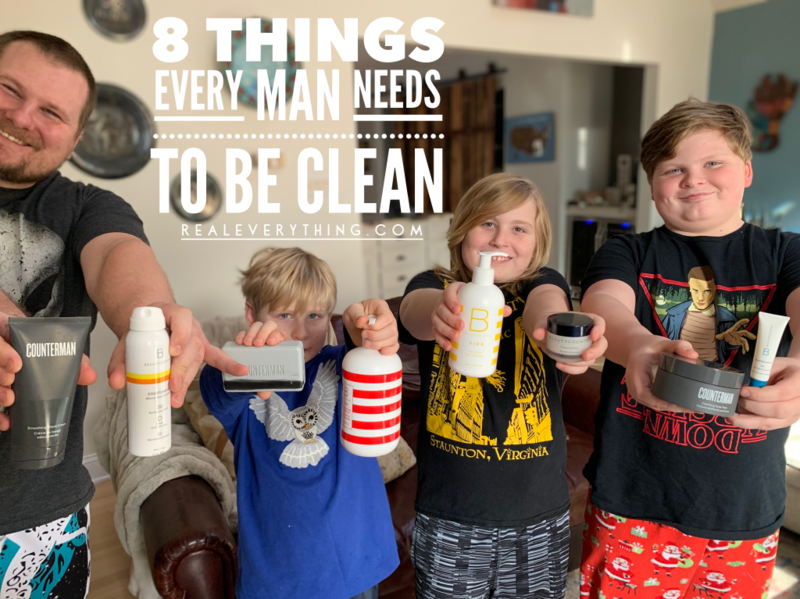 “Clean”… as in clean products to not be dirty, stinky boys? As often as we talk about safer skincare and cleaner personal care products, we’ve never dedicated a post to men’s products. And I’m face palming… because we have FOUR boys in this house! 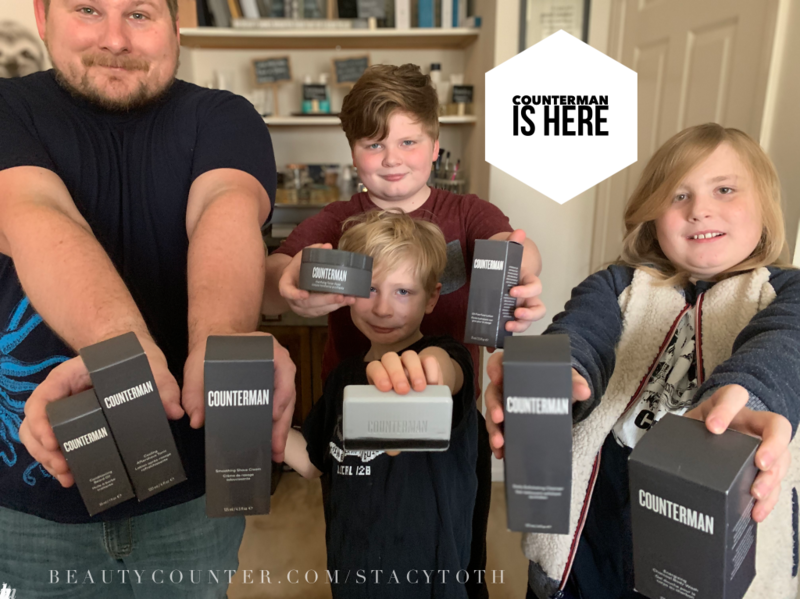 So today, in celebration of our family’s favorite men’s safer skincare line, Counterman, fully launching (we’ve been using it for weeks and not able to share! ), we’re finally talking all about the boys’ favorite products! 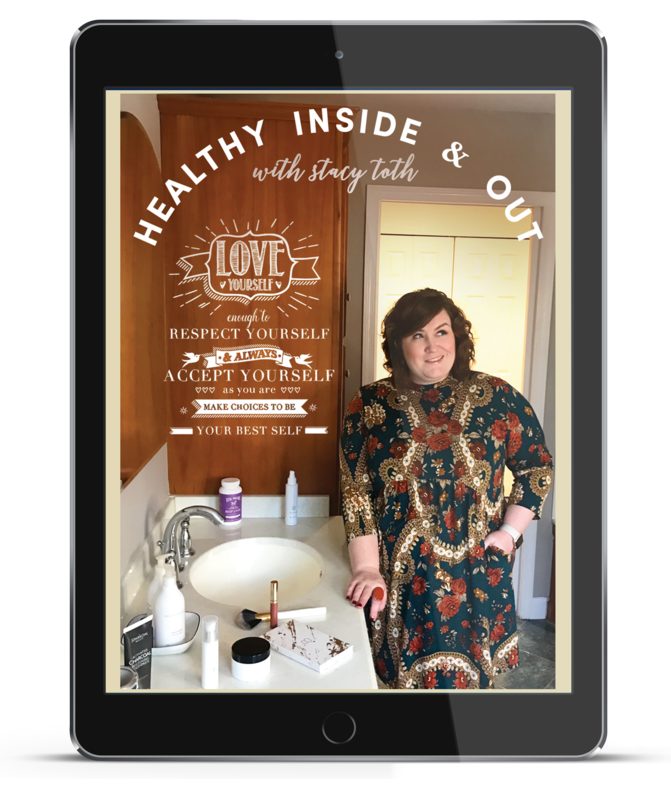 First and foremost, I want to clarify – while I’ve titled this post about the “men” in your life, this absolutely applies to the tween and teens in your life. 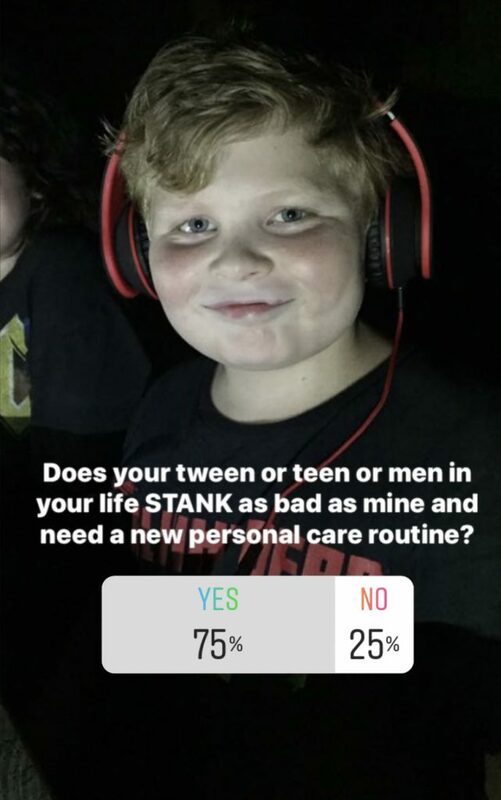 When I polled Instagram to see who may also want to help their boys “clean up” a vast majority of you said it was needed! 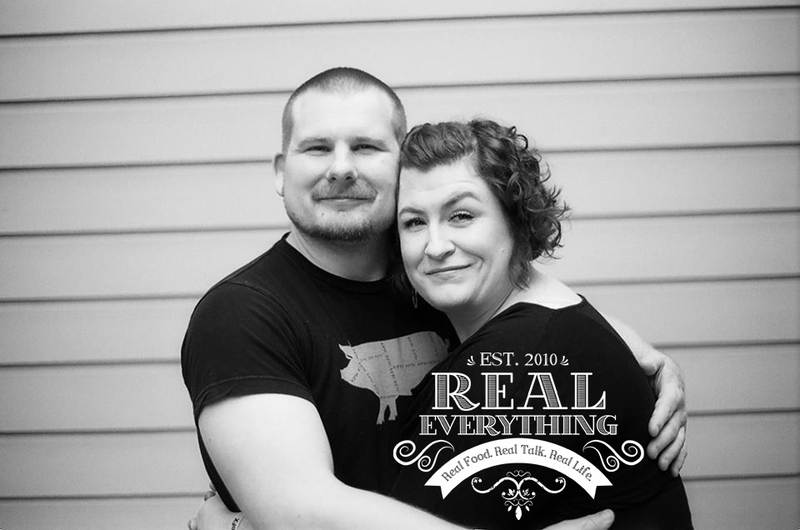 Great news: when Counterman arrived in our home it was the FIRST product Cole ever asked to try. The black, bold packaging was cool and effectively masculine in a way he immediately gravitated to. 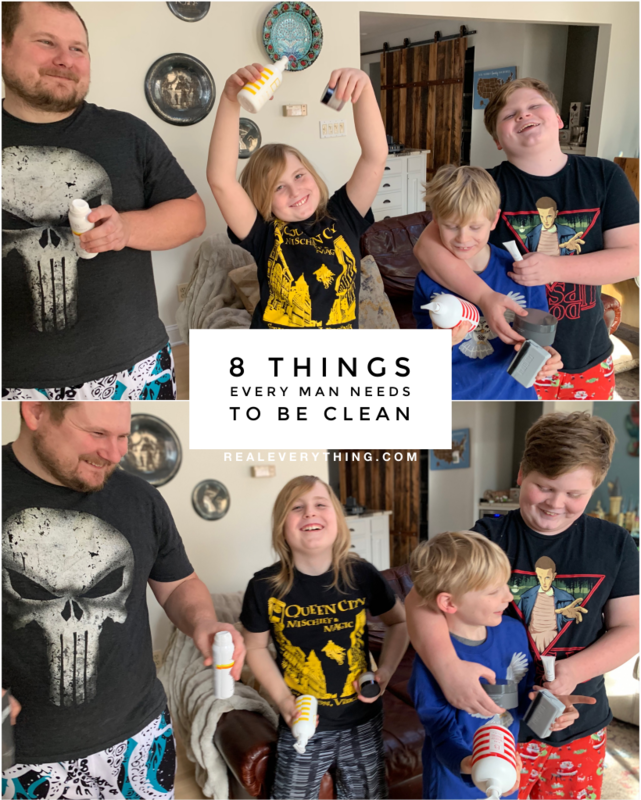 So while I’m going to be diving deep into products and recommendations, remember these are all genuinely requested and beloved by all 4 of my boys! Skin is thicker. Men’s skin density is about 25% thicker than women’s. Skin is tougher. Men’s skin tends to be tougher due to slower cellular turnover and shaving. Skin is oilier. Men produce more sebum than women. Pore and follicle size is larger. Men’s pore size is generally larger, leaving skin vulnerable to blackheads. Problem is, if men use the women-targeted anti-aging lines – nearly all of them include estrogenic hormone disrupting chemicals. As terrible as this is for women, it’s even more problematic for men – who will age more quickly with a testosterone imbalance. And the majority of the research performed on skincare products target only women, leaving men to wonder what will happen to them. Regardless of gender or age, endocrine disruptors affect us all. They are toxic chemicals found in a host of everyday items from household cleaning products to mattresses… Once endocrine disrupting chemicals come into contact with us (through our skin, the air we breath, or the consumables we digest – purposefully or not) they get a free ride through our bloodstream with the potential to wreak havoc on our hormones. How Does this Affect Men and Boys? 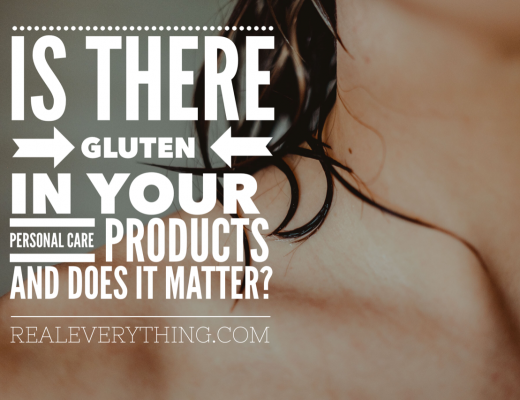 Phthalates in particular have been shown in research to act as anti-androgens. 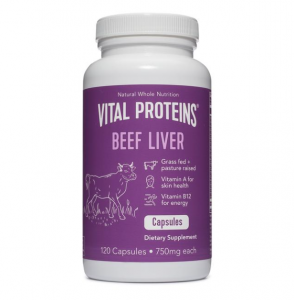 They block the body from producing androgens, like testosterone. Scientists have found evidence that male fish, when exposed to all modern chemicals including phthalates, have grown eggs in their testes. Phthalates also trigger the signal mechanism in our body that speeds up cell die off. Known as “death-inducing signaling”, this causes rapid testicular cell death in men. Studies have linked phthalates to hormone changes, lower sperm count, less mobile sperm, male reproductive birth defects, obesity, diabetes, and thyroid irregularities. And while research is woefully behind on the affects of these EDC’s on young male bodies, the good news is that the liklihood of switching to safer positively affecting both sexes is high. 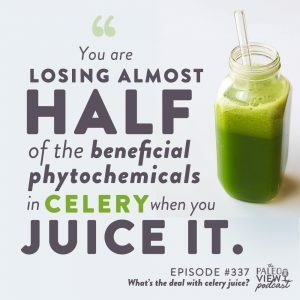 Remember the EWG’s study that shows just 3 days use of safer ingredient products reduces toxic chemicals levels in their bodies? 35 percent down in triclosan, an antibacterial chemical common in liquid antibacterial hand soap, dishwashing detergent, toothpaste, face wash and deodorant. Triclosan is linked to the disruption of thyroid and reproductive hormones. 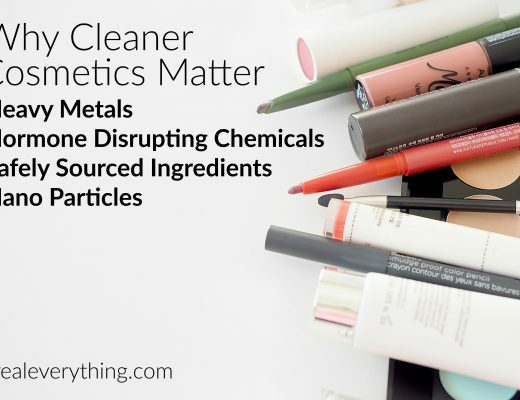 As always, Beautycounter formulates all products safe from carcinogens, toxic or hormone disrupting chemicals, and heavy metals. 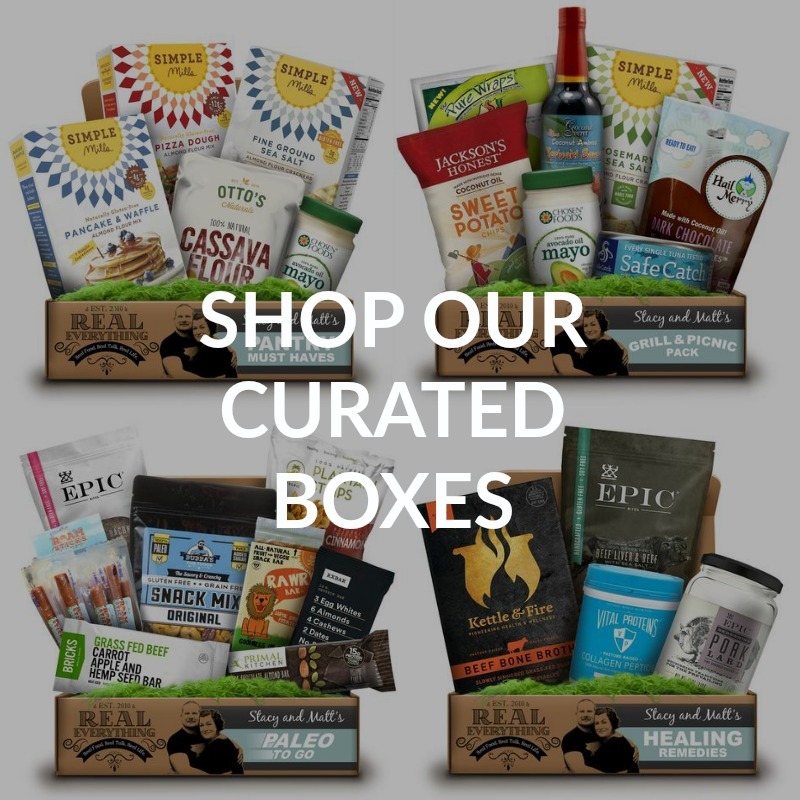 And as a B Corp, you can be assured they’re always people people and earth first before profit – to ensure products, packaging, and manufacturing keep us all safe. Because good guys deserve great skincare and everyone deserves safer products! 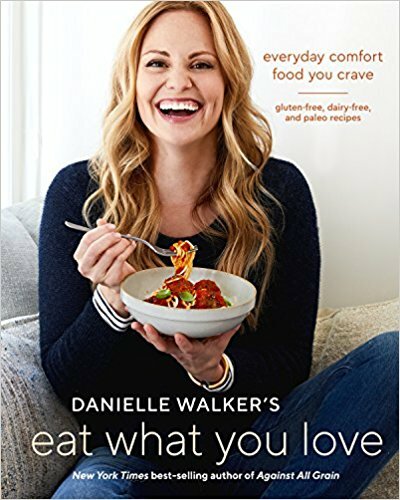 We don’t say we love it because we work with the brand, we work with the brand (and very few others’) because we genuinely use and love the products! Listen, this is real life. None of my boys love self grooming. Finn does a decent job taking care of his long locks and sensitive skin, but overall the boys’ routine could easily be described as the KISS method. 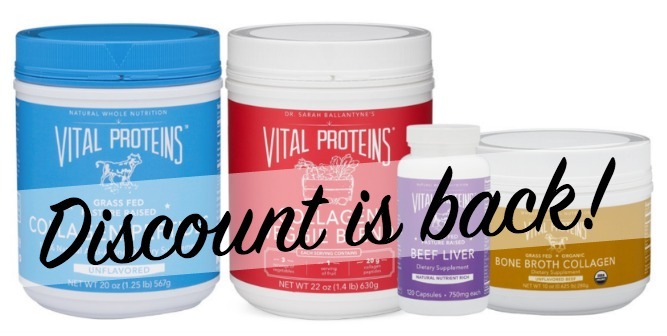 So, if you’re looking for a good place to start – these our their simple staples. Countersun Mist (Matt is holding the small) – as a stay at home dad of 3 very fair skinned children and an almost-vampire redheaded wife, Matt is the responsible party for applying a lot of sunscreen. Prior to this innovative and award-winning non-aerosol and non-nano mineral-based sun lotion mist he was using the lotion to rub-on. Now, we can all spray ourselves and life is so much easier! Cleansing Balm – (one of the free gift with purchase options!) Finn has super sensitive skin. He needs to drink from a straw and avoid eating foods that touch his face. He is on modified-AIP with me, and does a darn good job of resisting dairy and nightshades when his brothers eat it in front of him. But, when he does eat it, he swears by the Cleansing Balm for his eczema flares. In fact, he’s tried at least 4 other eczema-specific products, but genuinely loves this balm best. We keep one in the car so he remembers to put it on daily on the way to school. Not a Knot Conditioner – as the only boy in this house with much hair (in fact, it’s longer than mine), Finn needs good hair care. He swears by this not a knot conditioner. When we’ve run out he’s used mine or other products when we travel and says his hair feels better and combs much easier with this. I’ve also heard so many testimonials from other parents who swear by this conditioner for their kids’ with thin, knot-prone hair as the best product (safe or not). Counterman Charcoal Body Bar – while every single boy argued over who would get to choose this item (spoiler alert: you’re gonna want more than one), Wesley was the most insistent. Since he prefers baths over showers, the bar is easier for him to use. It’s also just badass with a cool black stripe! And, all the boys love the scent, which avoids synthetic fragrance but is just as cool as their peers Axe or Irish Spring. Kids’ Body Wash – while Wesley prefers the bar, he likes to use the body wash as bubble bath. He’s just a boy who likes to double down on getting clean. Listen,you can’t hold me accountable for what the boys’ chose as their favorites! Counterman Toner Pads – I’m not kidding when I tell you Cole obsesses about these. A boy who avoids washing his face or bathing at all costs, he keeps these by his bed at night and “washes” his face with them. Listen, I’m not gonna complain – baby steps in the right direction are still getting us closer to the finish line! With both witch hazel and green tea extract, these do wonders for acne! The pads remove dirt and oil, reduce pore size, and improve skin by reducing inflammation. Countercontrol Acne SOS Spot Treatment – For when those hormonal changes do bring zits, this spot treatment is absolutely fantastic. The moment you feel it coming on – before it fully forms – if you wash and spot treat with this, 9 out of 10 times it disappears for me. I myself use and swear by it. And since Cole started using these I haven’t seen a single breakout! As noted in several selections above, a few of the items are from the new Counterman line. My 13 yo has never asked for Beautycounter except 1) when he got his first zit and I gave him the SOS Acne Treatment, and 2) when Counterman arrived and he cautiously yet optimistically asked what I recommended for him. And while keeping the Toner Pads on his nightstand may be the ultimate lazy-man before bed “face wash,” at least he’s doing something now, right?! Counterman products address men’s specific needs with the innovative Sequoia Stem Cell Complex. Yes, from Sequoia trees. Their stem cells have the ability to self-renew and never undergo an aging process. This new line of safer, results-driven skincare is designed specifically for men. Featuring the breakthrough Sequoia Stem Cell Complex, all Countermen formulas help protect skin from everyday stress. 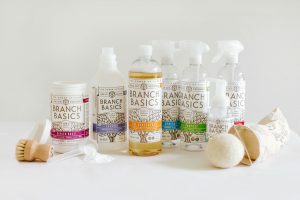 The line is scented with Bergamot and vetiver essential oils lend a fresh, woodsy scent (except where noted as fragrance-free) inspired by the Sequoia tree. Counterman Daily Exfoliating Cleanser ($25) – uses gentle exfoliating jojoba beads to unclog pores and remove dirt, oil, and dead skin cells with aloe to soothe and calm skin. The Teen Favorite, Counterman Clarifying Toner Pads ($36) – these quick and convenient toner pads are perfect for teens! 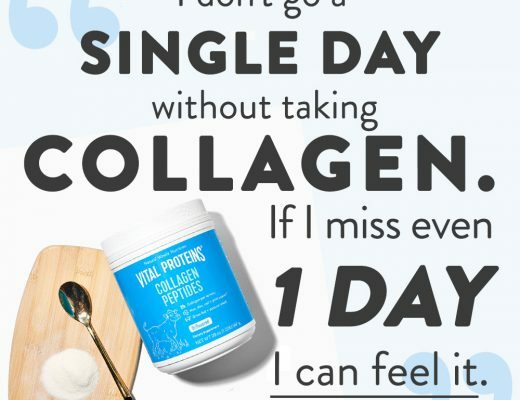 Formulated with a blend of witch hazel and green tea extract, they remove dirt and oil, tighten pores, and improve skin with reduced inflammation and acne. 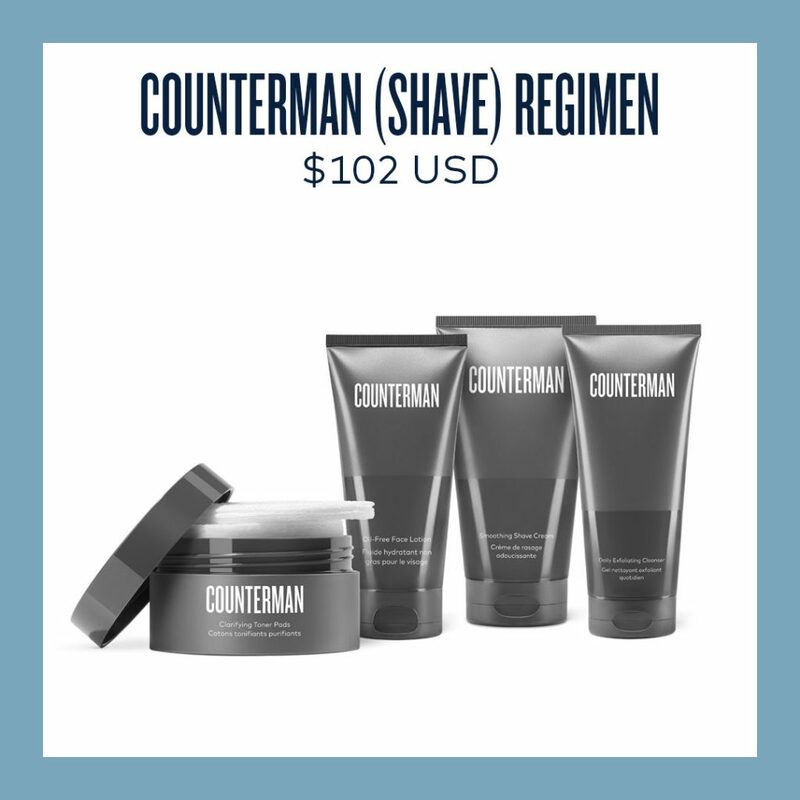 Counterman Oil-Free Face Lotion ($32) – this lightweight moisturizer absorbs quickly to boost hydration and prevent shine. 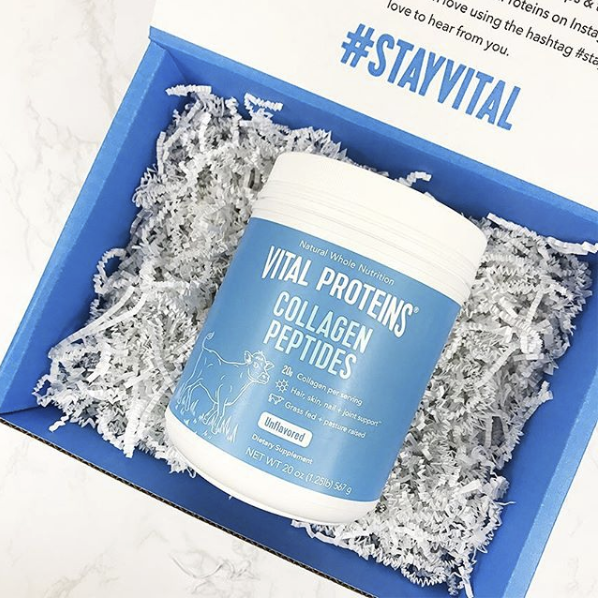 It improves skin resiliency and protects skin from environmental stress. This formula is fragrance and oil free. The Product Women Can Use, Counterman Smoothing Shave Cream, too for $20 – my favorite item from the line, this conditioning shave cream is great for everyone! It softens hair with shea butter, aloe, and innovative Sequoia for a comfortable shave that soothes, hydrates, and protects the skin. This formula is fragrance and oil free. Counterman Cooling Aftershave Tonic ($22) – a calming blend of witch hazel, menthol, taurine, and Sequioa calm post-shave discomfort and boost skin resiliency. What Matt Needs, Counterman Conditioning Beard Oil ($30) – this nourishing facial oil relieves dry, itchy skin with a lightweight game-changing beard oil formulated with jojoba, macadamia, and sunflower plant oils and Sequoia. 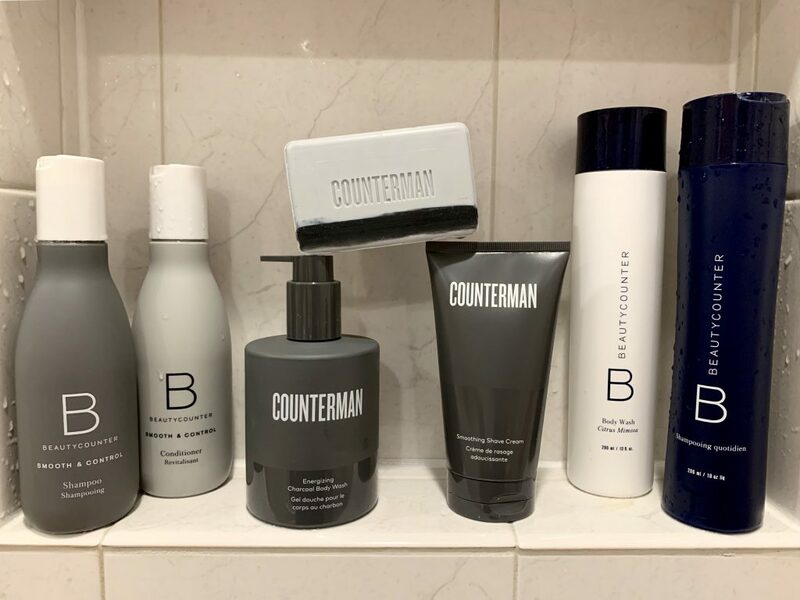 Counterman Energizing Charcoal Body Wash ($25) – this charcoal colored body wash bubbles up to a rich later without harsh sulfates that strip away moisture. Detoxify skin, wash away impurities, and protect skin with a blend of natural citrus, mint, rosemary, and cedarwood oils. The Crowd Favorite, Counterman Charcoal Body Bar* – at only $19. Ask anyone that got to preview this line, and you’ll immediately hear about this badass body bar. A larger size intended for use all over the body (as opposed to the smaller black Charcoal Cleansing Bar designed for the face). Formulated with detoxifying charcoal, coconut oil, and Sequoia this invigorating body bar produces a creamy lather to wash away impurities. A blend of natural citrus, mint, rosemary and cedarwood oils give this soap a refreshing scent. *Note, when I asked all 4 boys to pick 2 favorite items from Beautycounter, they all picked this bar. It’s natural non-fragrance scent is amazing (I even use it!). Not to mention there’s something really clean-feeling about scrubbing with a body bar soap. While Cole and the boys aren’t ready for “regimens” yet, in a couple years they will be. And even as simple as Matt is, he’s excited about a skincare routine, for the first time in his life. A routine, or “regimen” works together for best effectiveness. 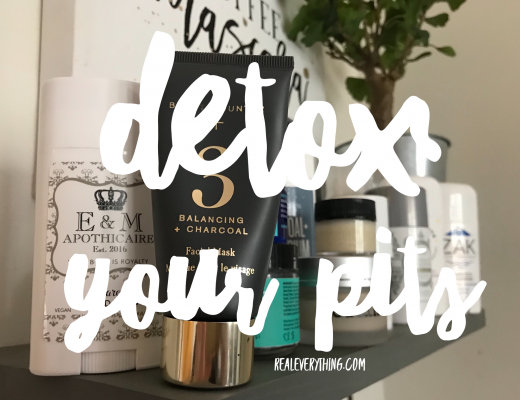 Each includes the basic steps of any skincare routine: (1) Cleanse, (2) Prep and tone, (3) Protect and moisturize with (4) treatments (such as the Charcoal Balancing Mask or Overnight Resurfacing Peel) as necessary. 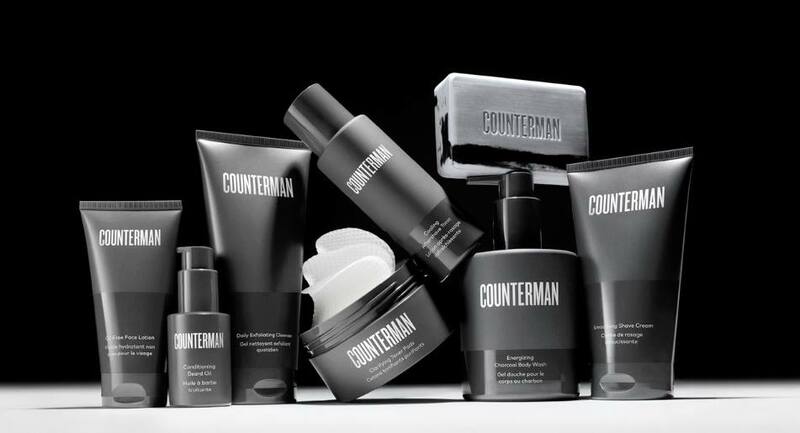 If you purchase a Counterman Regimen, you will get a FREE treatment of your choice: Overnight Resurfacing Peel, Balancing Charcoal Mask, or Cleansing Balm (all 3 are our family favorites!) 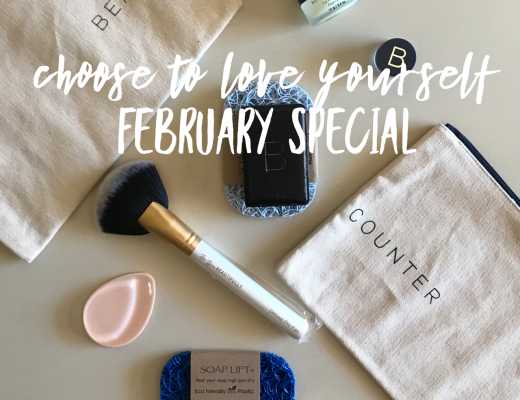 as part of this month’s Gift with Purchase from Beautycounter. That’s a HUGE deal on a $102 regimen, almost 50% bonus. For those that have that clean shaven look. For the rugged beard wearers out there. Each regimen is 10% off when purchased a set, plus the FREE GWP! 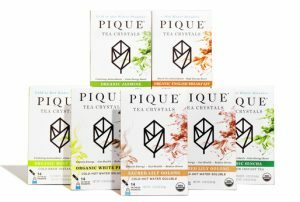 The entire line can be purchased for $188, a $21 discount (10%). FINE PRINT: As of today, January 15th through January 24, 2019, Beautycounter has launched a gift with purchase sale to celebrate the launch of Counterman (while supplies last). The special is for the two 4 piece Counterman Regimens – Shave or Beard – to also give a free gift with purchase. 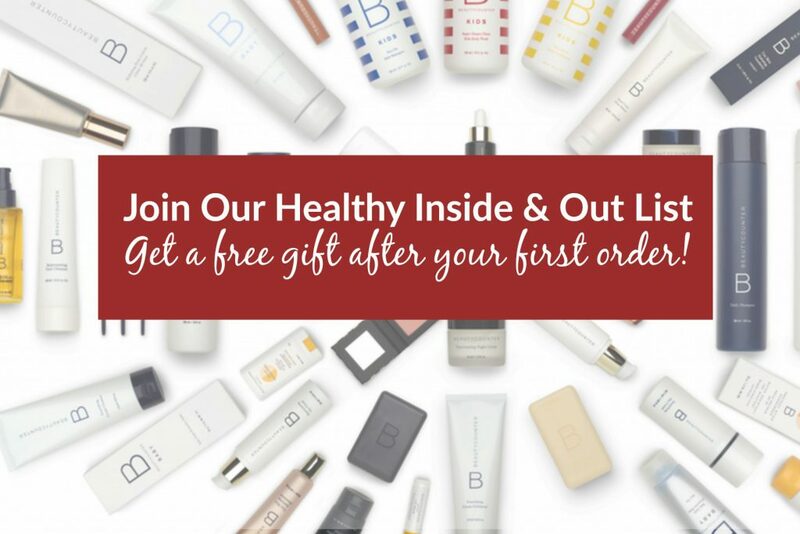 That means, for both Counterman regimens, you’ll get to choose one of the above items of your choice, valued at $45! Looking for more? Check out our post on Tween & Teen skincare or read up on our Beautycounter FAQs. 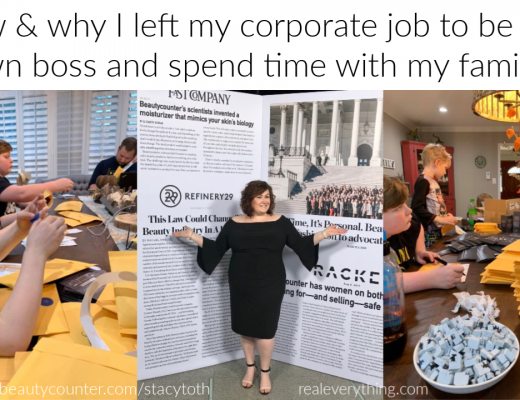 Follow Stacy on Instagram for more non-toxic living ideas. 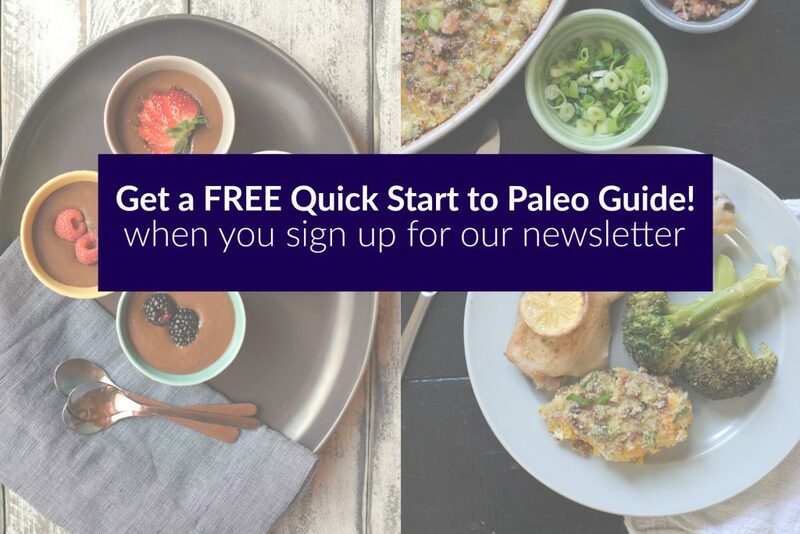 And join our mailing list to never miss a sale or new post! Thanks for stopping by! Please leave a comment and let us know if you have a question or what you learned today.